Two brothers spent more than $75,000 each on matching cabins on Bottomless Pond. Now both structures and all the contents are destroyed because of flood water and mould. Bottomless Pond, off route 430 near Gros Morne, is surrounded by five cabins currently sitting in dirty pond water. 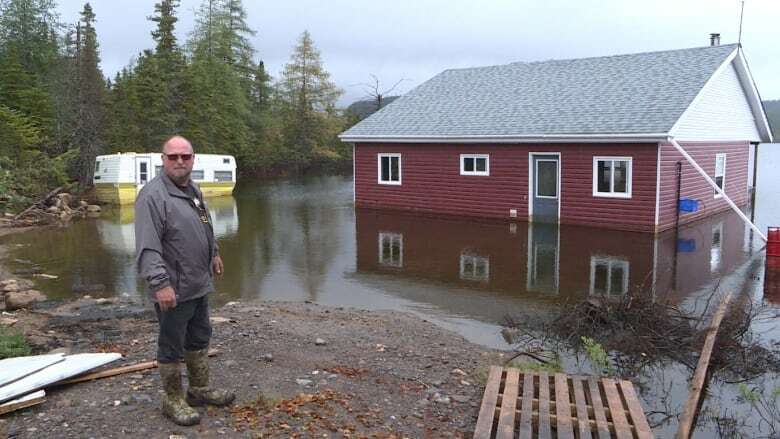 Cabin owner Mark Hoyles believes the pond was clogged with heavy debris and silt when the land shifted after January's warm temperatures and heavy rain. On Tuesday, he strapped on his fishing waders and pushed open his soggy front door. A meter or more of water still filled his cabin. "Right now, I don't think anything can be done other than completely tear it down," he said. Mark said water rose seven metres higher than usual during the spring thaw and has only receded one metre since. The heavy flooding started the end of May 2018 when the usual spring melt did not drain from the pond. 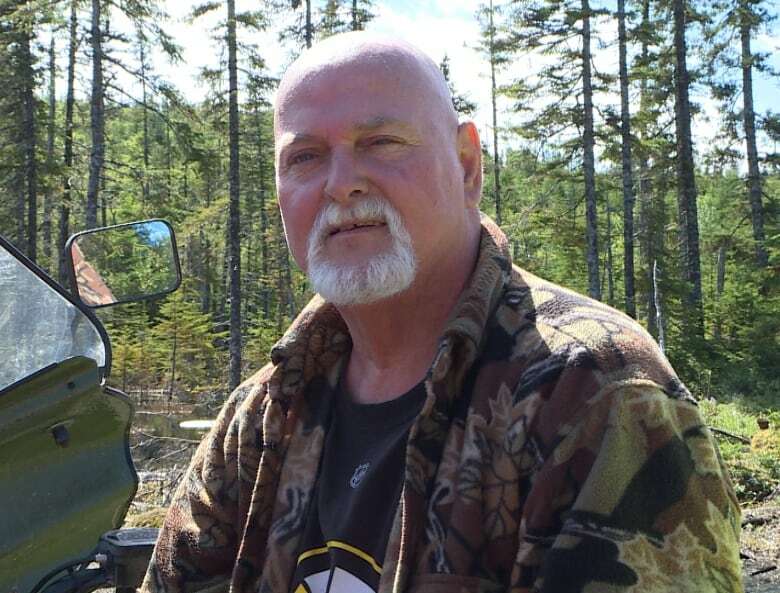 On the long ATV ride to the pond across several access roads near Bonne Bay, Hoyles talked about possibly jacking up his cabin and moving it to a new location. All that hope disappeared when he got a closer look. 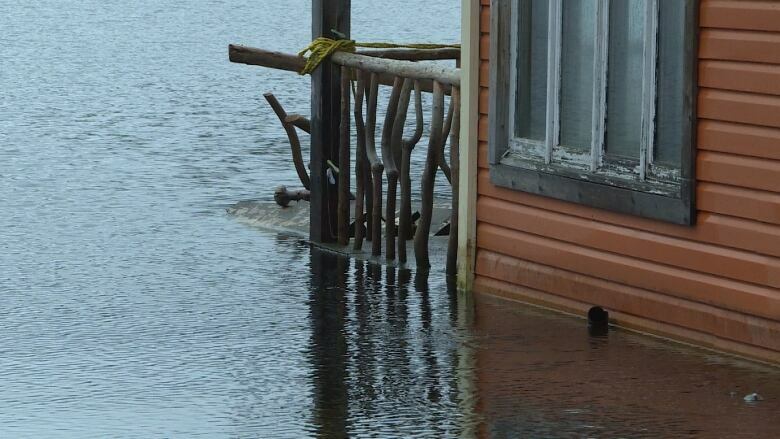 He said if the water had receded quicker, the cabin could have been saved. "It's September and that means it's soon going to start freezing. 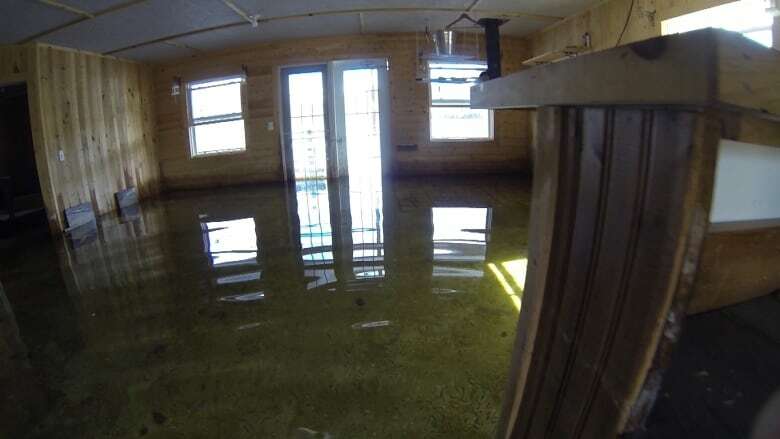 Once the water starts freezing, you are going to get splitting in the cabin. So, the winter is going to be a tear down," Mark said. Next door, his brother Melvin Hoyles got aboard a small canoe and paddled to his front entrance. He opened the front door and was met with the pungent smell of mould. On his last trip to the flooded mess in June, Melvin hoisted his couches and mattresses on top of tables, trying to save whatever was left but now mould covers everything, even the ceiling. "It's sad. I put everything I had into that, and now it's gone," Melvin said. "It's devastating. Mould right to the ceiling. I thought it was going to be on the bottom where things got wet. Not like that, everything got damp. It's sad." The Hoyles brothers leased the land from Crown Lands and pay 200 dollars a year. When they started construction about five years ago, they made sure their cabins were far away from the waterline knowing the pond would rise each spring. Their cabins are built up on top of an embankment, far from where the water should be. They had no idea the water would rise so high and stay so high. "Insurance doesn't cover it. Government won't help you. It's a loss," said Mark. "I had full coverage on my cabin, so I thought. When I checked it out, I got overland flood insurance on my house and I told them I wanted everything same on my cabin. They don't cover overland flooding on remote cottages, they now tell me." Mark and Melvin Holyes reached out to the premier's office on several occasions looking for some answers, but they were never given answers about cleanup compensation. In an emailed statement to CBC News on Wednesday night, a spokesperson for the Department of Municipal Affairs and the Environment reiterated a similar message provided in June — that the high water levels in the area are due to several factors, including melting snow, heavy rain and ground saturation. 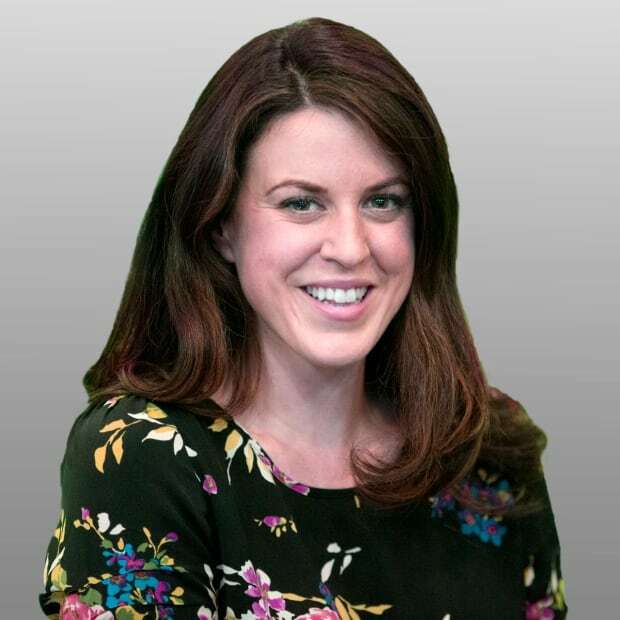 A department spokesperson notes the province's disaster relief financial assistance program "does not provide coverage for any seasonal properties." "The Water Resources Management Division officials have indicated that the water level is expected to recede with time, though there is no indication of how long this process might take," reads the statement. The Hoyles are still waiting.